Top Atlanta life, style & fashion blog by Titilola Sogunro. 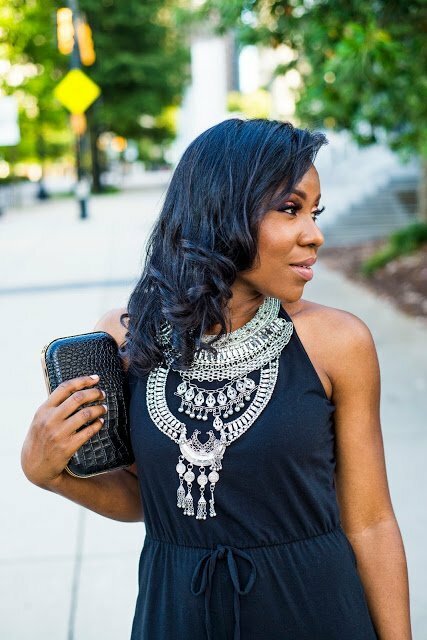 A top Atlanta life, style & fashion blog started by Titilola Sogunro. Titi’s Passion was started as an outlet to connect with other women and men that share the things that I am passionate about Fashion, Beauty, Food, Natural Hair & Travel. I fully committed to this journey in April 2015. Over the last few years, I have redefined my style, and my goal is to help others discover, simplify and/or redefine theirs. We live in a world where beauty products are forever evolving and changing, I love sharing my beauty discoveries on Titi’s Passion. A foodie at heart, I explore different restaurants in my city and the others I discover during my travels across the world. I transitioned my hair five years ago and over the course of the years, I have acquired a solid base knowledge that will be useful to anyone on a natural hair journey or someone considering going natural. If I share your interests, please SUBSCRIBE to my blog to keep up with the valuable information I share. My formal education consists of a Bachelor’s degree in Accounting from the University of Georgia and a Master’s degree in Finance. I held a corporate job in the Mortgage industry for years, but eventually decided to follow my passion, the thing that truly makes me happy; Fashion. I manage my blog full-time. In my spare time, I enjoy reading non-fiction books, traveling, and spending time with my husband, two children, and friends.